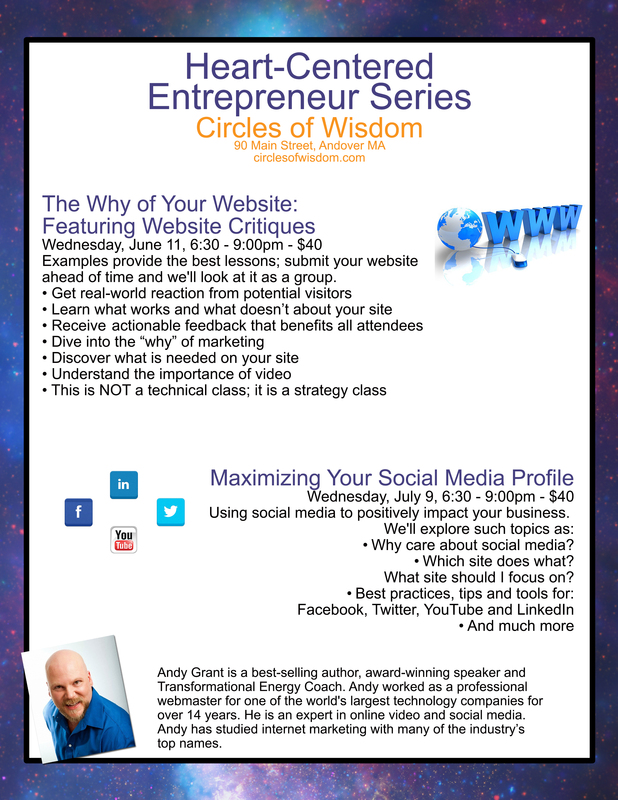 Live classes at Circles of Wisdom in Andover Massachusetts. Discover what your website needs and what visitors really think about it. Learn what sites to focus on to grow your business. Leave a comment for: "The Heart-Centered Entrepreneur Series Continues"